I've really been enjoying reading blogs lately. Sometimes I go through phases of preferring Youtube videos, because they are easier to consume, however I've been loving reading blogs throughout the past couple of weeks. I usually spend most lunchtimes sat at my desk, like the unsociable human I am, scrolling through my Bloglovin' feed. First of all, can we just talk about Sophie's Instagram? It is amazing. You can just tell how much effort goes in to it. I also think she has great style! Second of all, her blog posts are so relatable and personal. Her blog is definitely a representation of her as a person and you can tell because of the wide variety of posts she puts out there. From travel to fashion to a general chatty post - she does it all so well. Last but by no means least, she seems like a genuinely nice person. Her online appearance is so honest and open that reading her posts and exchanging a couple of tweets and comments here and there makes her feel like a long distance friend. She just seems like the nicest person ever. Who doesn't love Kate's blog? I also watch her Youtube channel - which is just as good - but her blog content is just lovely. 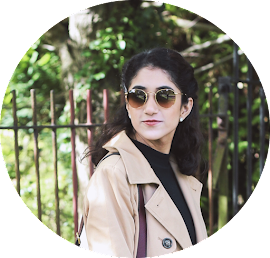 With a niche that specifically relates to interiors, she also blogs about beauty, fashion and other elements of life. Her home is what I aspire my future house to look like and thankfully she shares so many tips and tricks to getting your home like hers. I really like how she varies her content up and how all of it is right up my street. There's always something new and exciting to read on her blog - I suggest you check it out, if you somehow haven't already! I've been reading Rebecca's blog for a while now and I always look forward to having a binge reading session. The topics and themes of her posts always stand out to me and I love reading them because they are about things I am a) interested in and b) have pretty pictures and c) are about things that I haven't seen blog posts about before. From tips & tricks to beauty to life lessons - there are so many different categories to get stuck into. I love her style of writing and how it fits in with so many different genres. There's always something new and exciting to read on Rebecca's blog - I highly recommend if you are really into lifestyle blogs. When I was in university, I most definitely didn't work as hard as Lucy does on her blog. You can just tell how much time, effort and thought goes into her blog. When someone has that much drive and motivation, you can really see it paying off and with Lucy it most definitely has. I've seen her do collaborations with some amazing brands and companies and she really deserves it! She also posts very frequently so if I fancy a binge read - I can always count on Lucy's blog. Her content switches between lifestyle, fashion and beauty - which is just what I like hence why I love reading it so much! For a good mix of a lil bit of everything, I highly recommend Lauren's blog. I love reading her blog because her posts are so easy to read, her content is brilliant and I really enjoy her style of writing. You can really hear her personal voice coming through in her writing, which is a quality I really want to nail on my own blog. I like how Lauren's posts are very real and personal to her - but they somehow draw me in and make me want to continue reading. She often writes about her own experiences, which I particularly like reading because it is a great way of learning about people. I'm always rather inspired after reading her blog so I knew it was one that I definitely has to include. What blogs are you enjoying at the moment? These are good recommendations! I read some of these blogs too. Thank you for the recommendations, I am going to have to check these out!